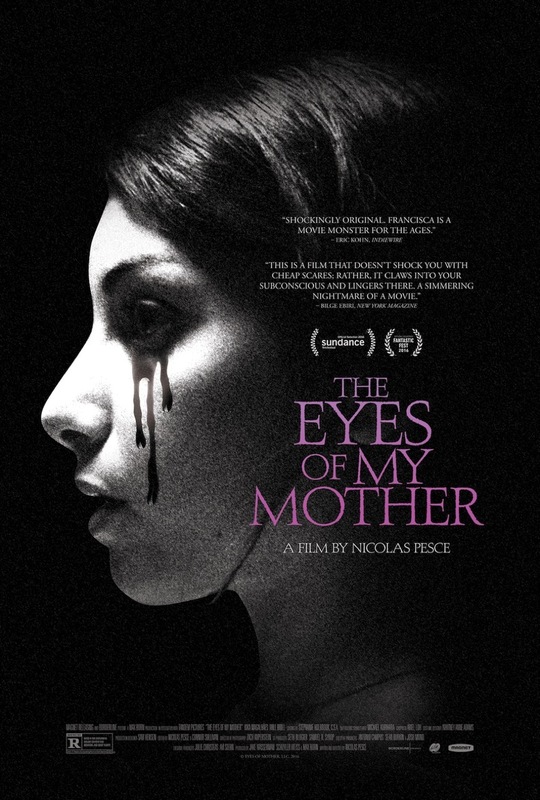 The Eyes of My Mother DVD and Blu-ray release date was set for March 7, 2017 and available on Digital HD from Amazon Video and iTunes on December 2, 2016. Francesca's mother, a surgeon, is murdered in their own home. Francesca seeks revenge on the murderer in a disturbing and thrilling manner that incorporates surgical tactics she learned from her mom- she removes his vocal chords and eyes. She eventually murders him. Francesca then grows up and does the same thing to a Japanese student she meets at a bar. After, she kidnaps a lady's son and raises the son as her own. The son eventually finds the Japanese student locked hostage in their own home, and sets the women free. The police then arrive and Francesca's fate is decided.